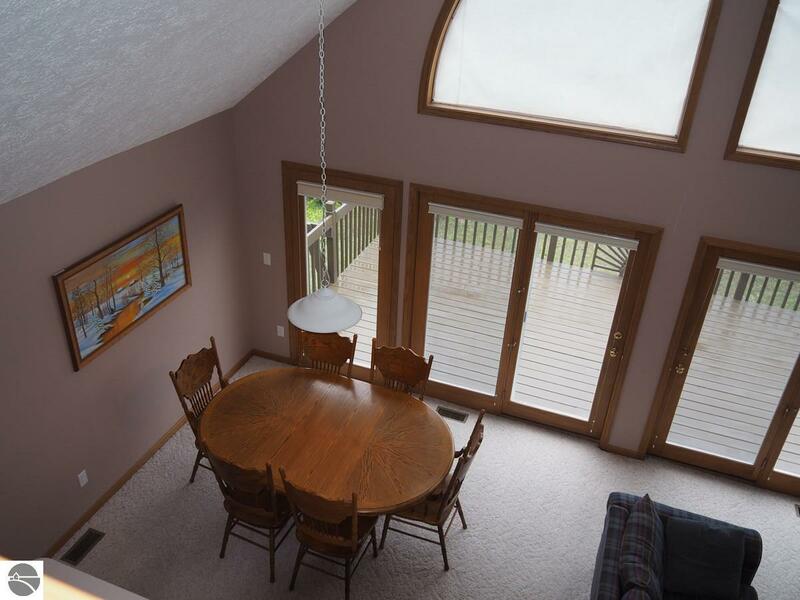 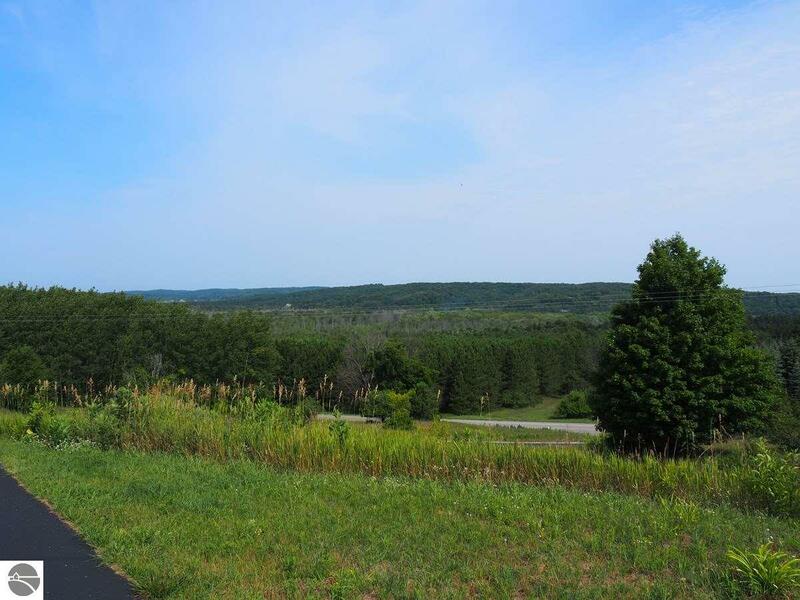 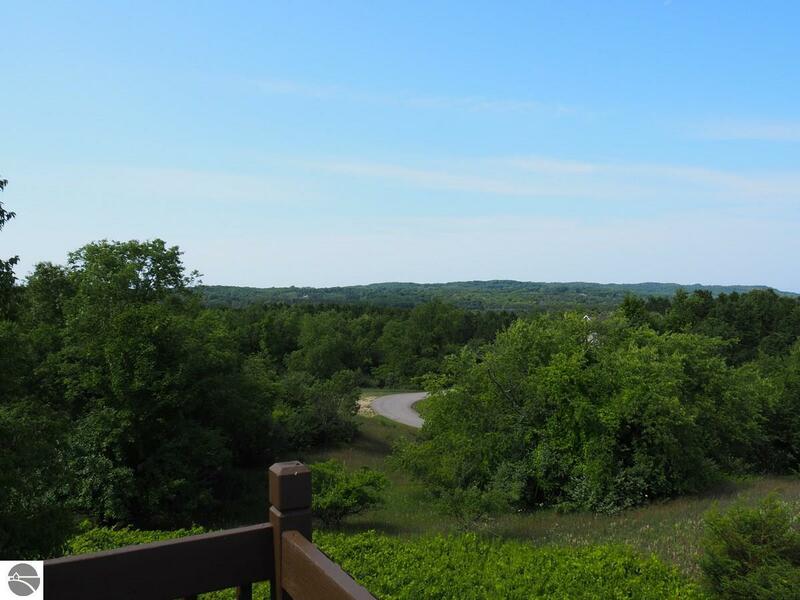 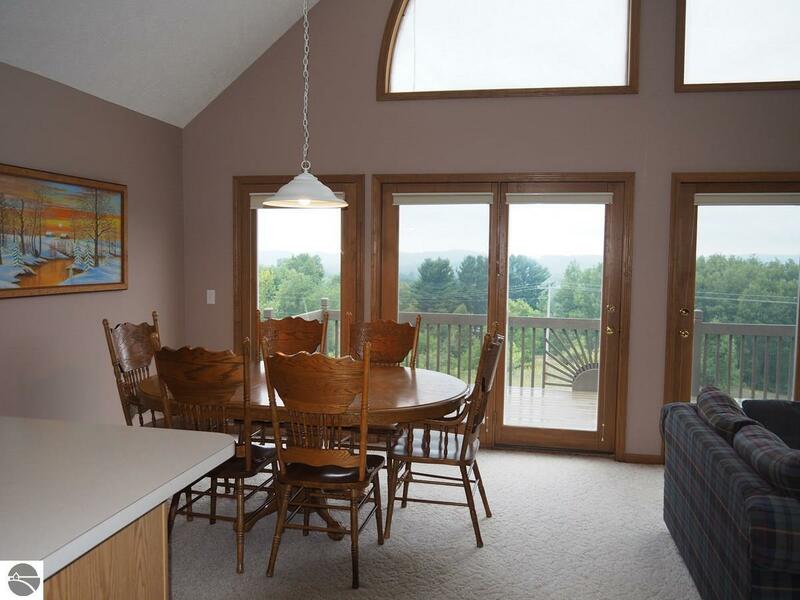 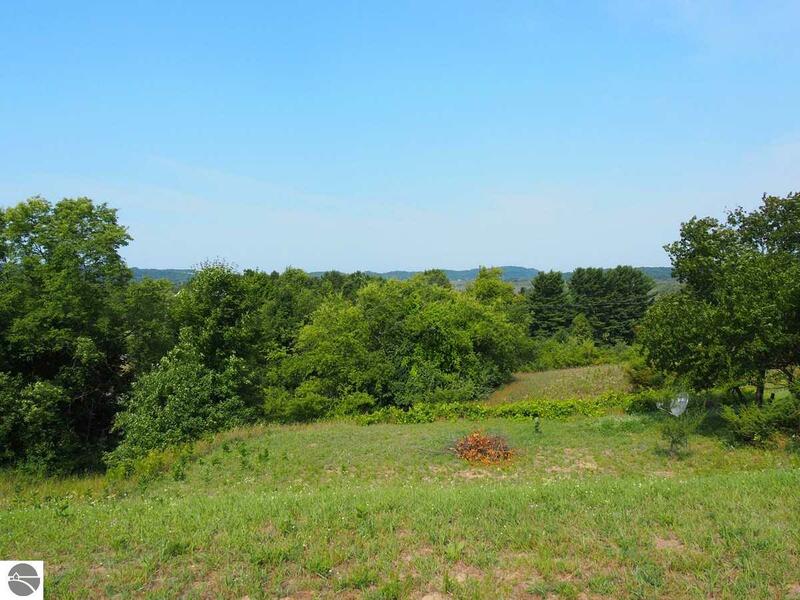 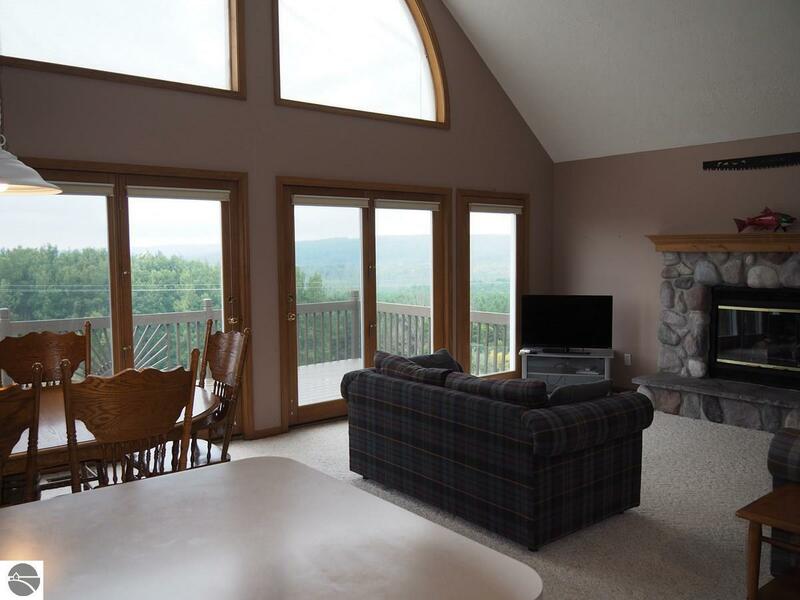 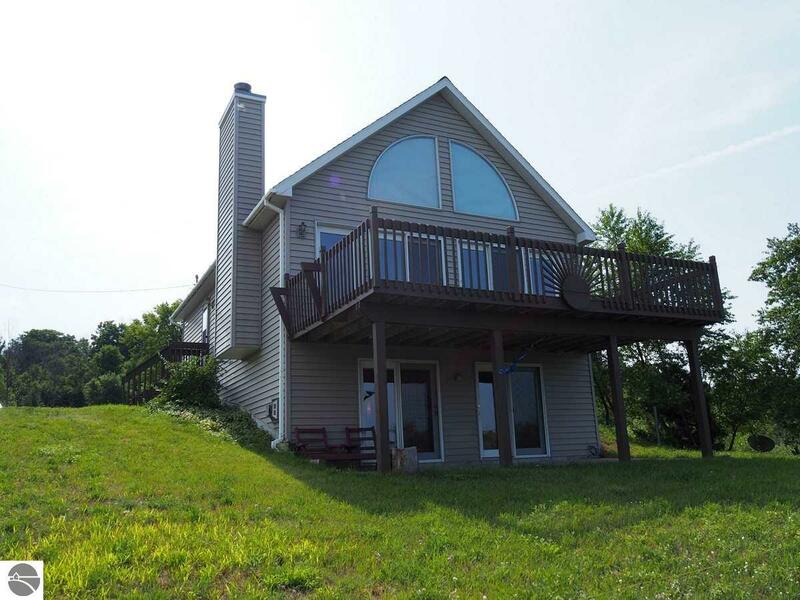 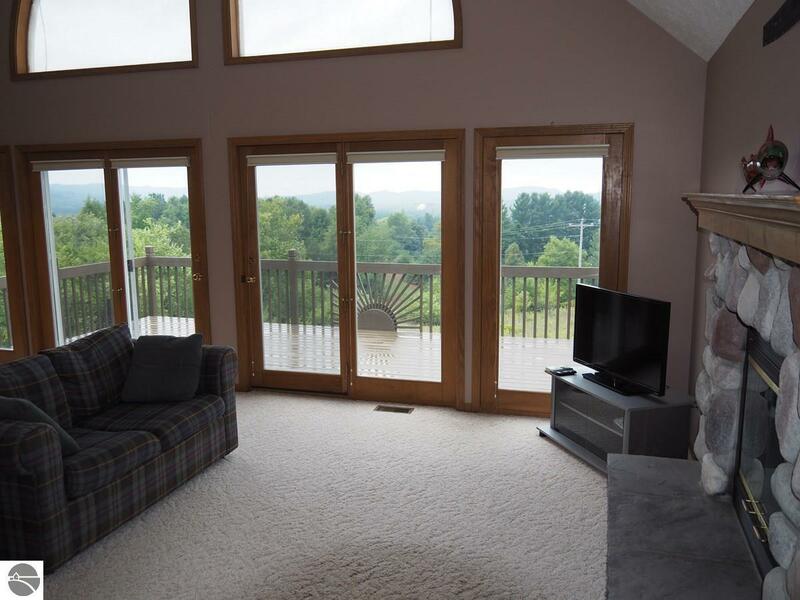 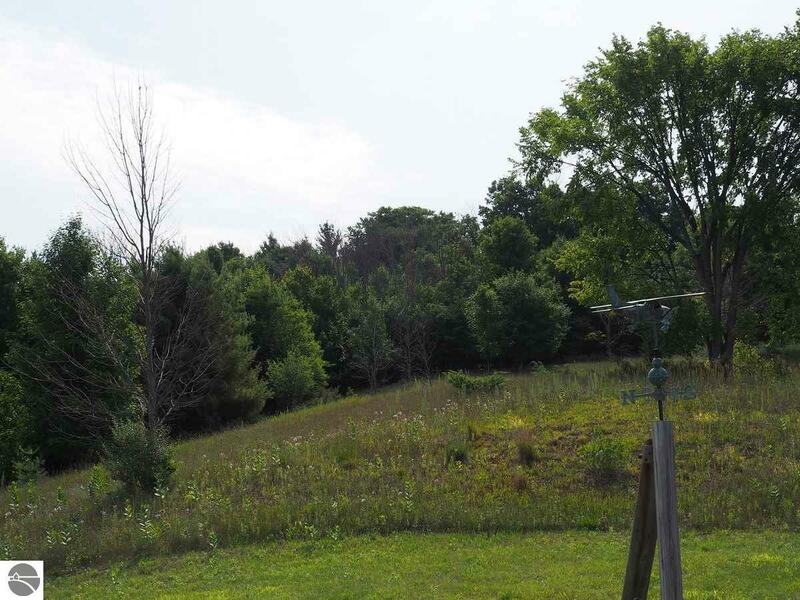 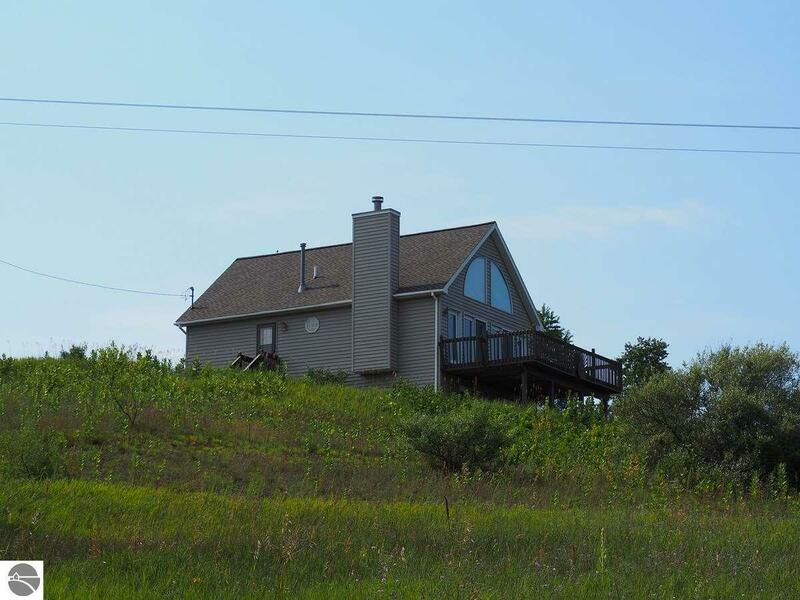 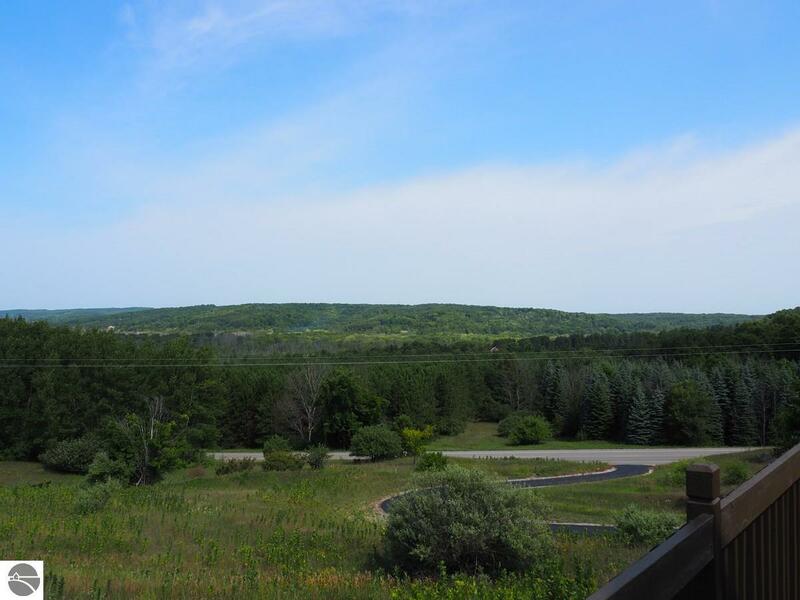 A commanding view of the countryside is your daily reward when you move into this hilltop, four-bedroom, furnished home on 10 acres near the City of Frankfort and Lake Michigan beaches. 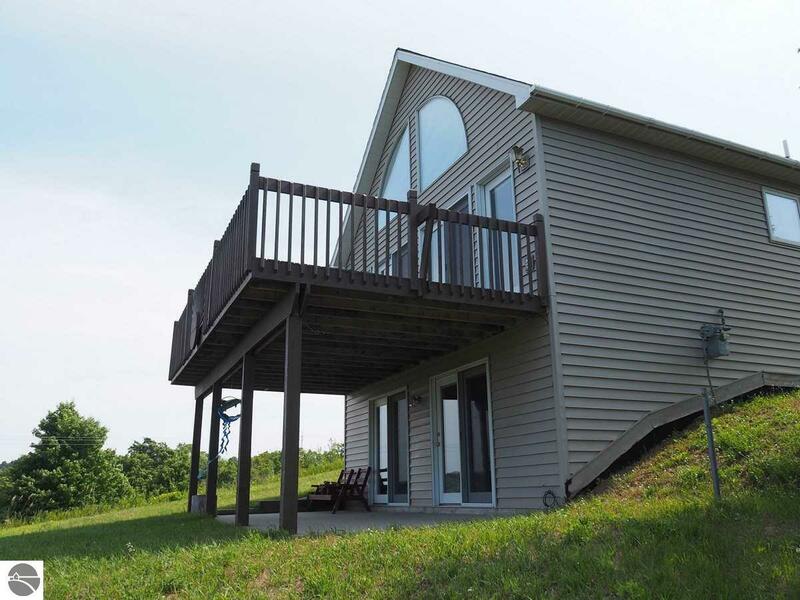 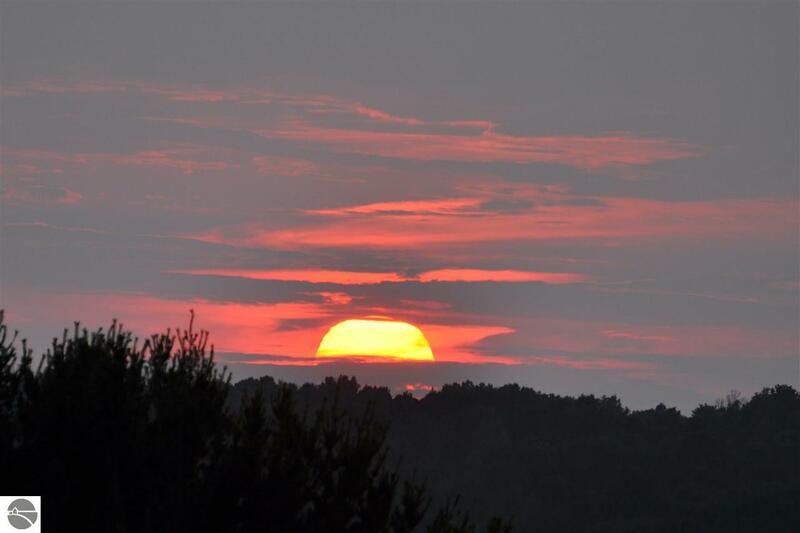 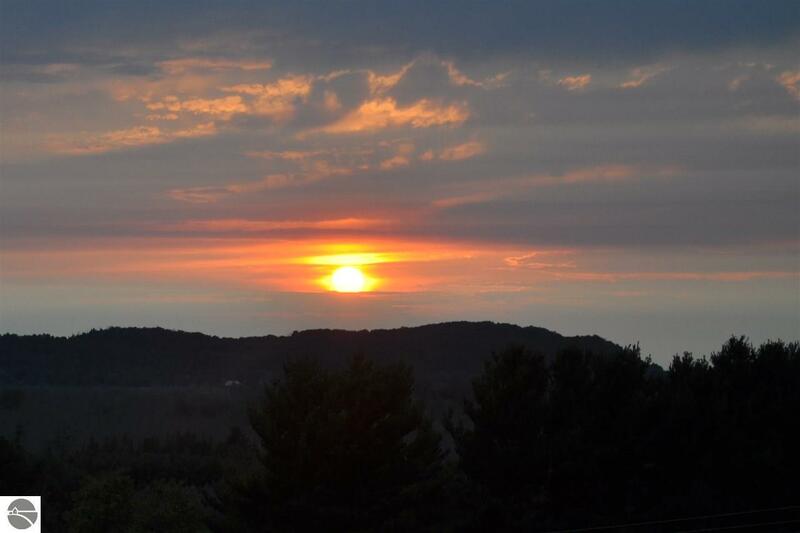 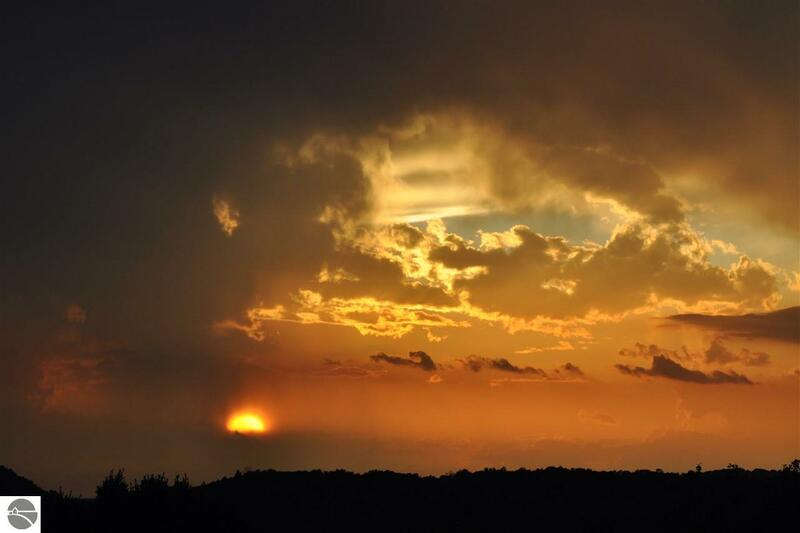 The home’s private, quiet setting comes with a large deck to watch spectacular sunsets too. 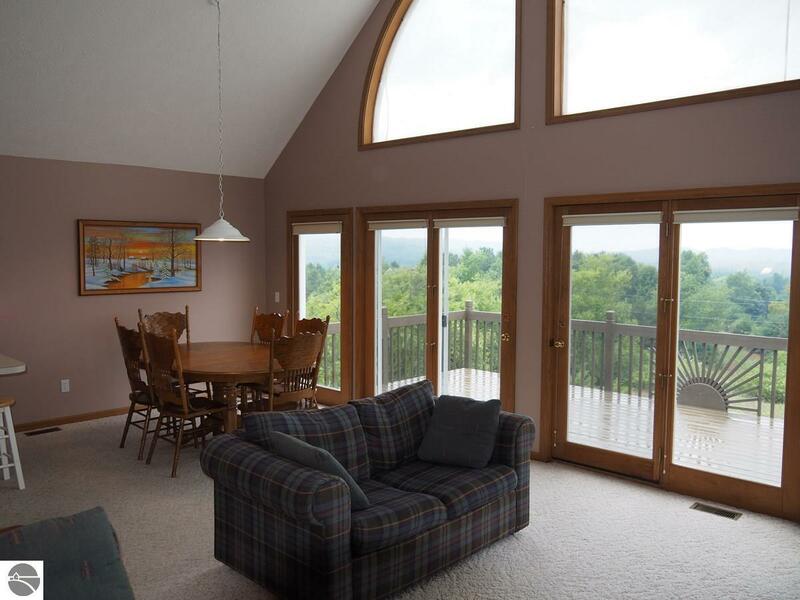 Inside this well-kept 1.5 story, the main floor features an open “great” room with cathedral ceiling and a stone-surround, natural-gas fireplace, plus glass doorwalls and windows to let in the view. 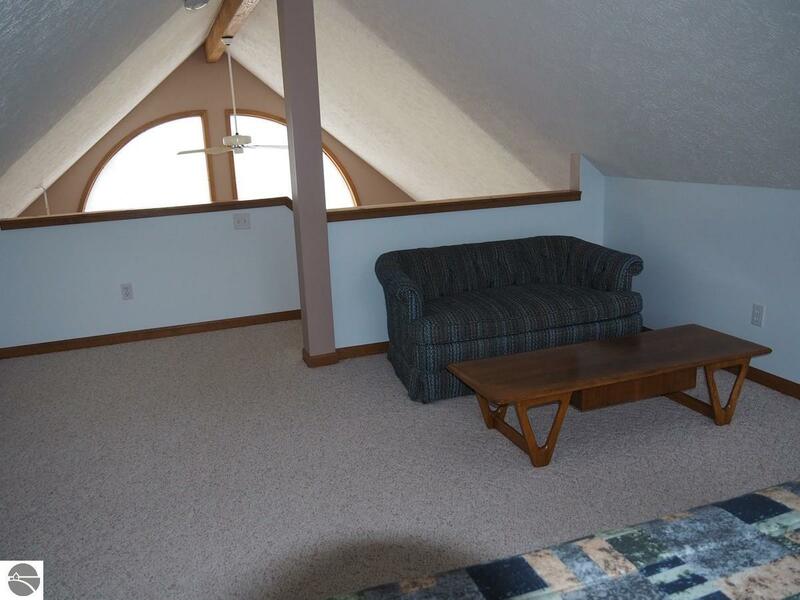 Upstairs is an open loft/sleeping area. 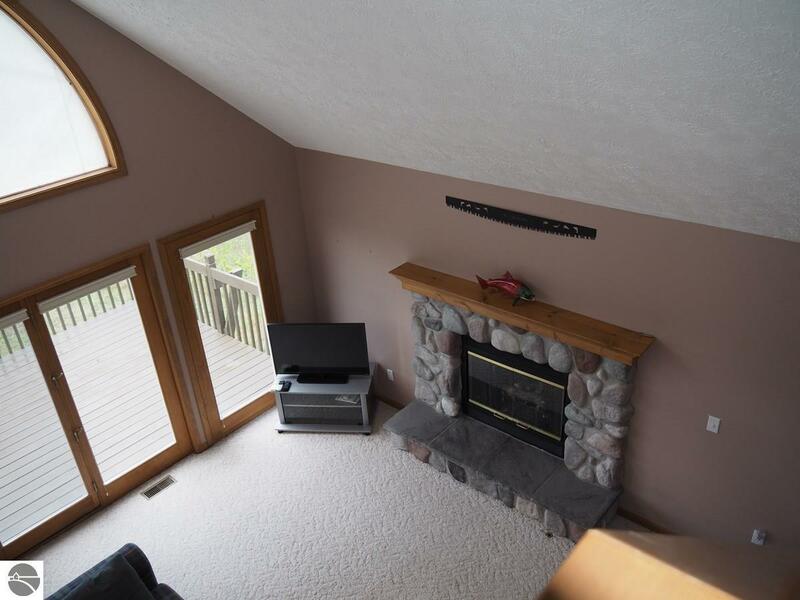 Below the main level is a finished family room–a perfect getaway with sliders, a gas “woodstove” and immersive surround sound—in addition to a nonconforming bedroom and second bath. 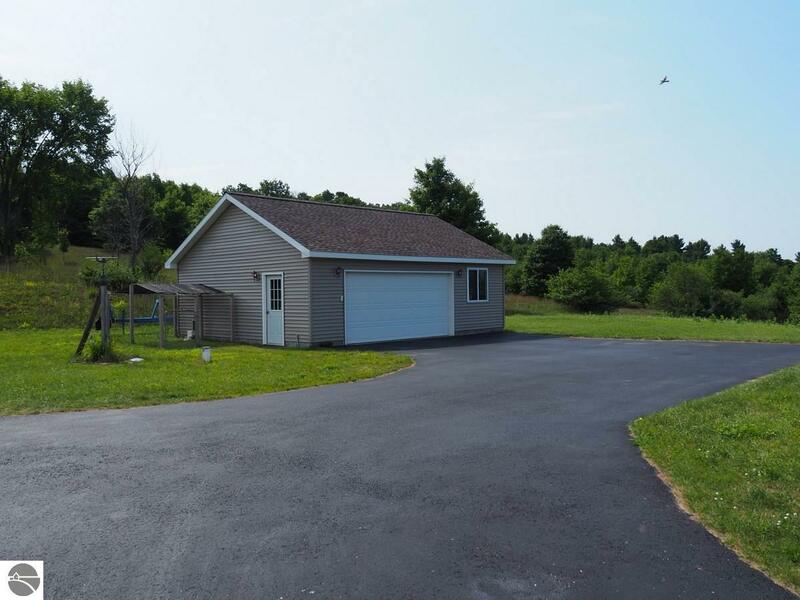 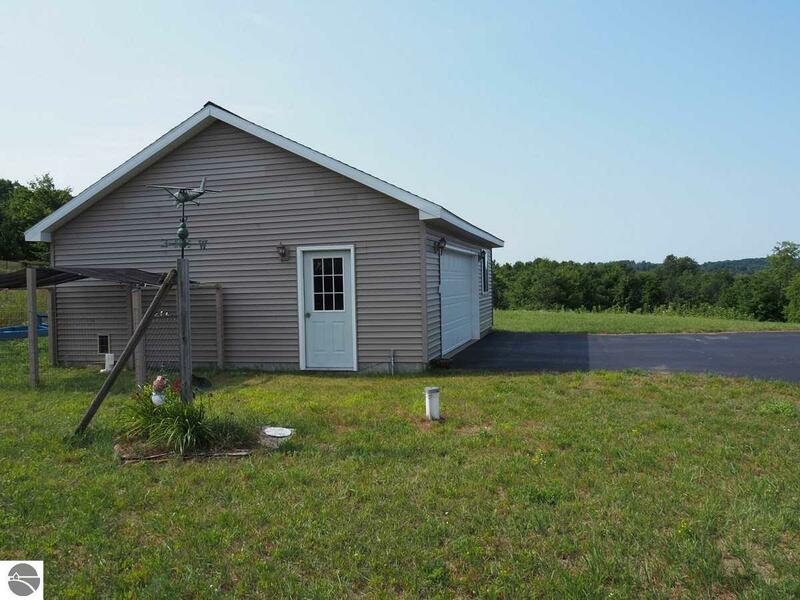 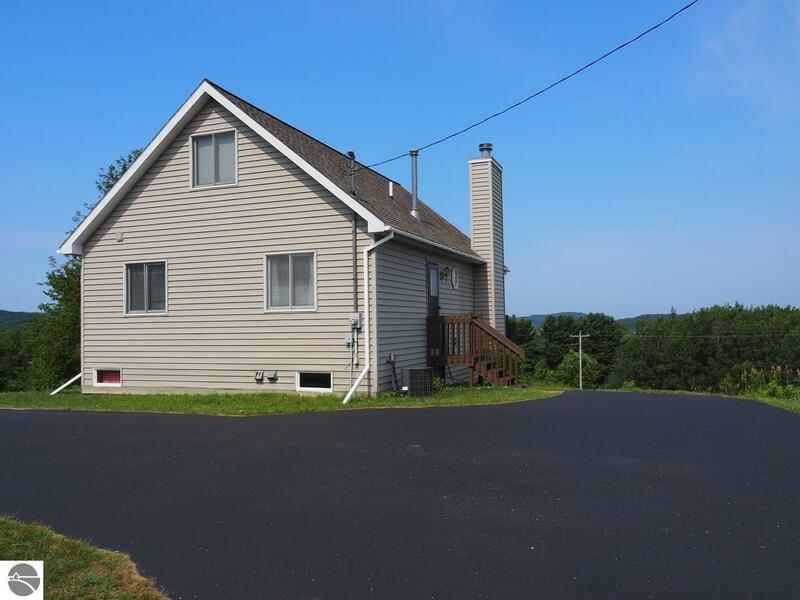 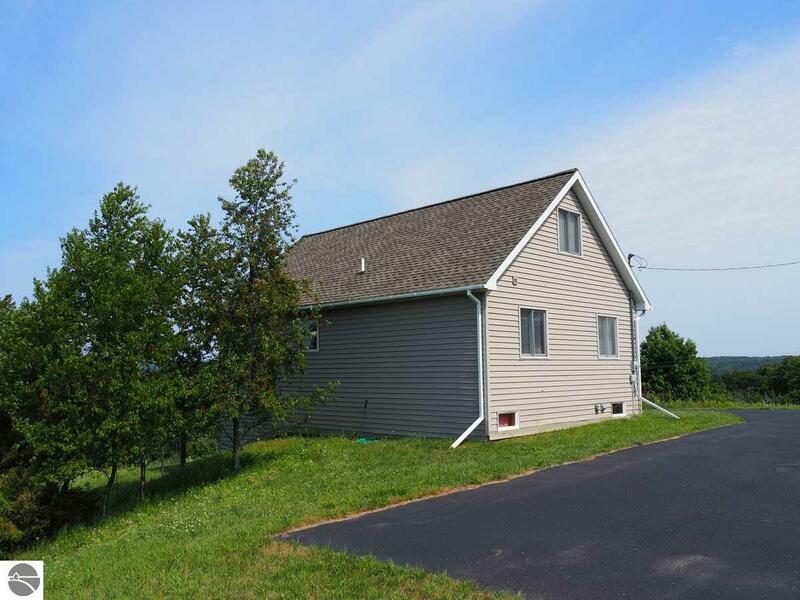 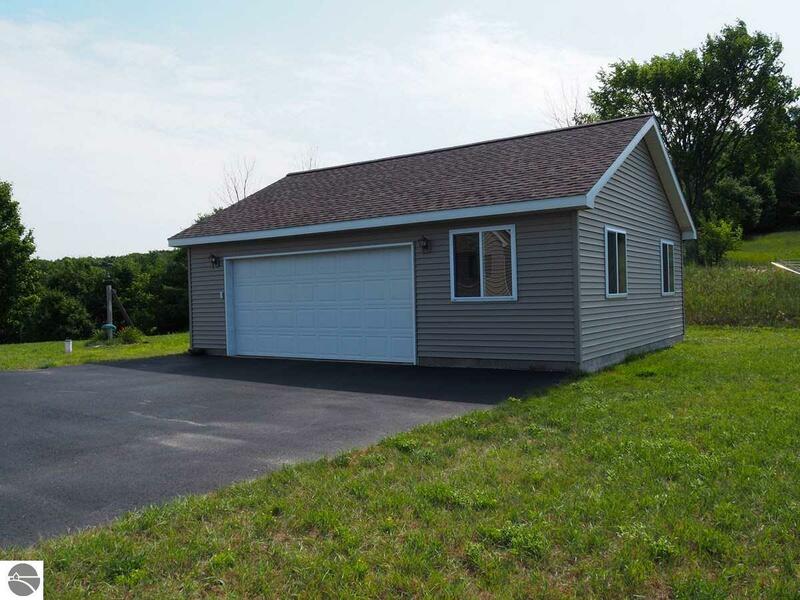 A winding, paved drive leads to the oversized garage (30×24) and grassy yard. 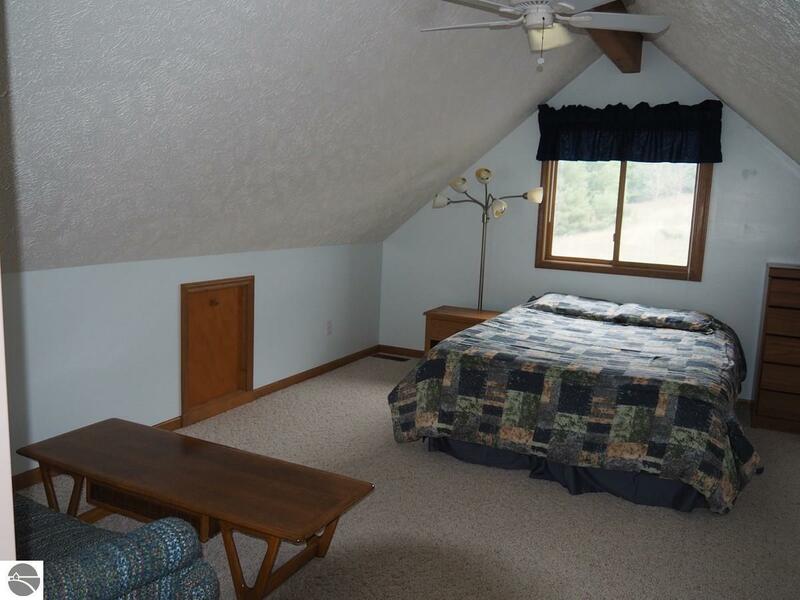 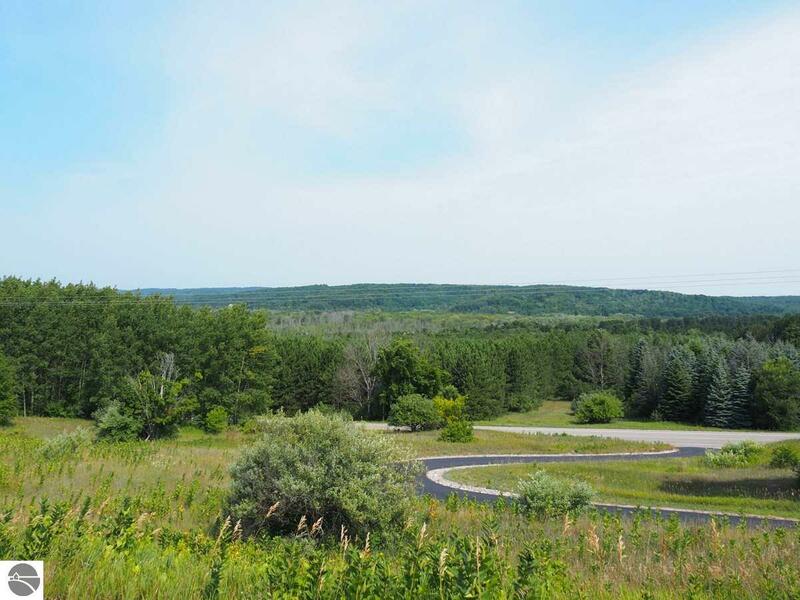 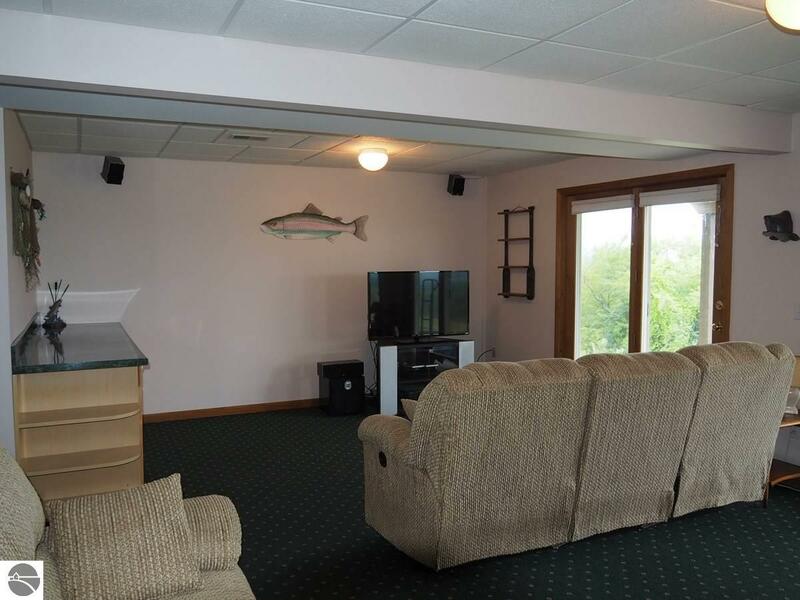 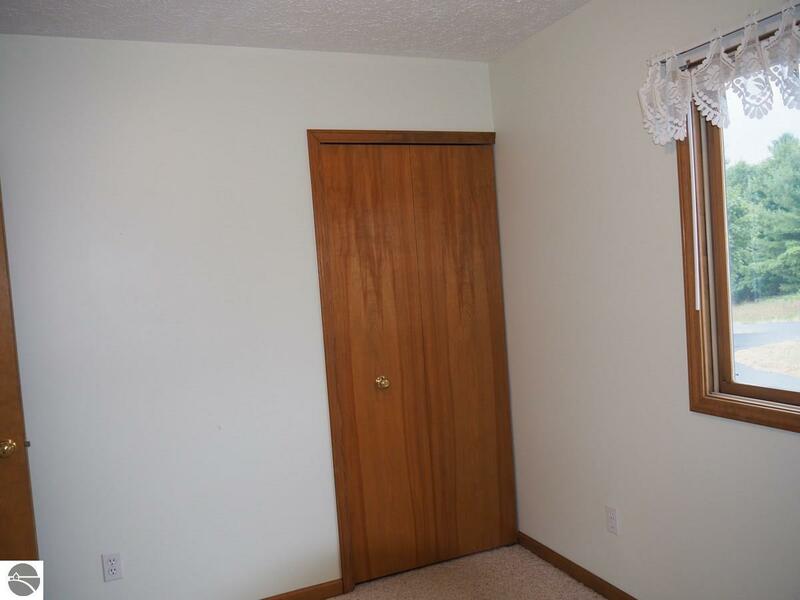 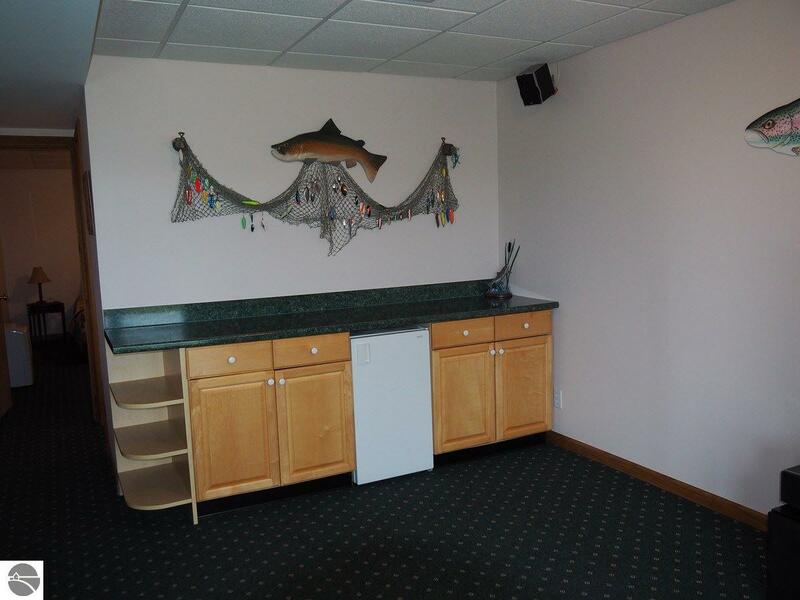 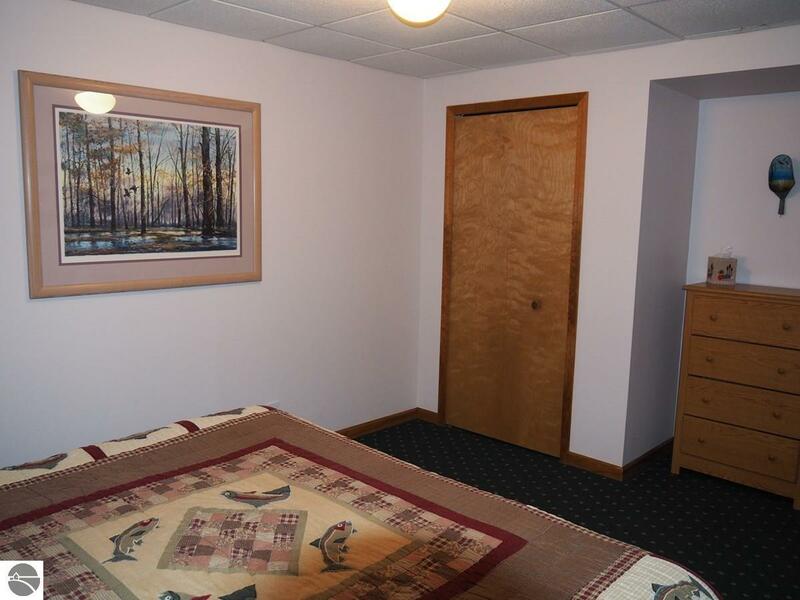 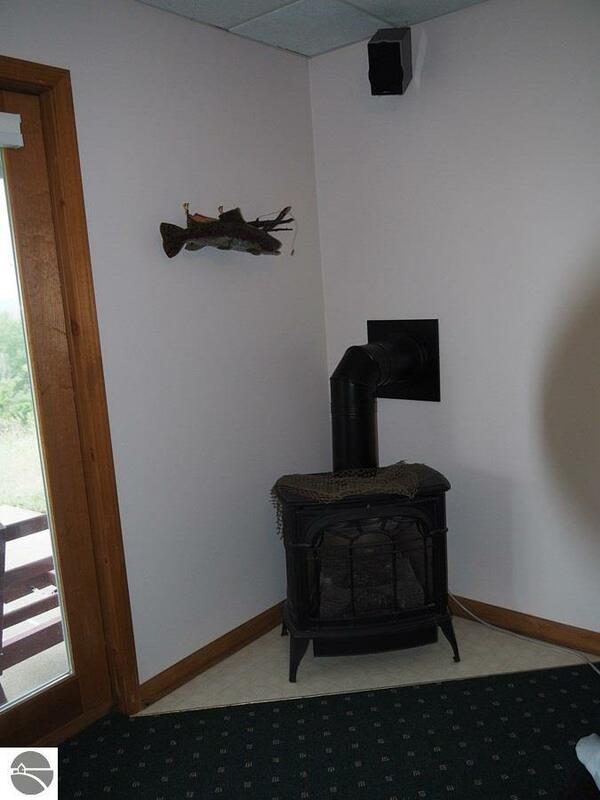 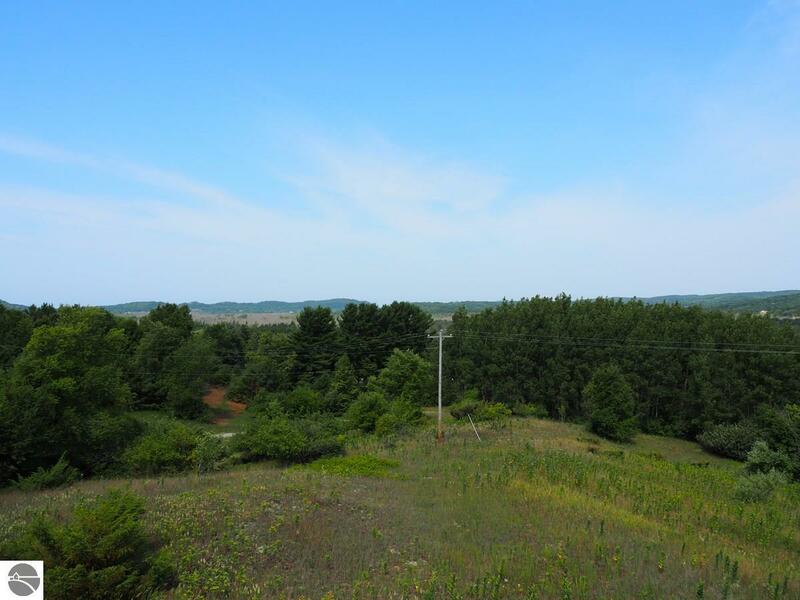 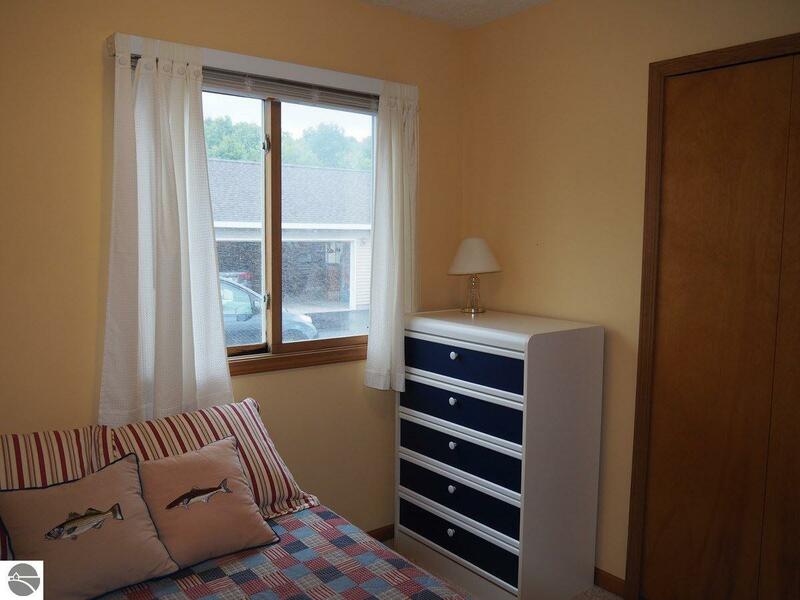 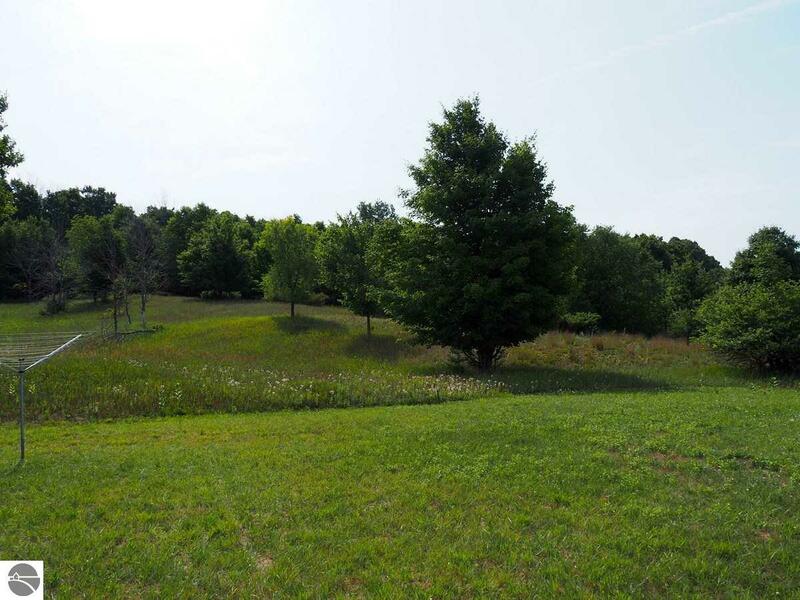 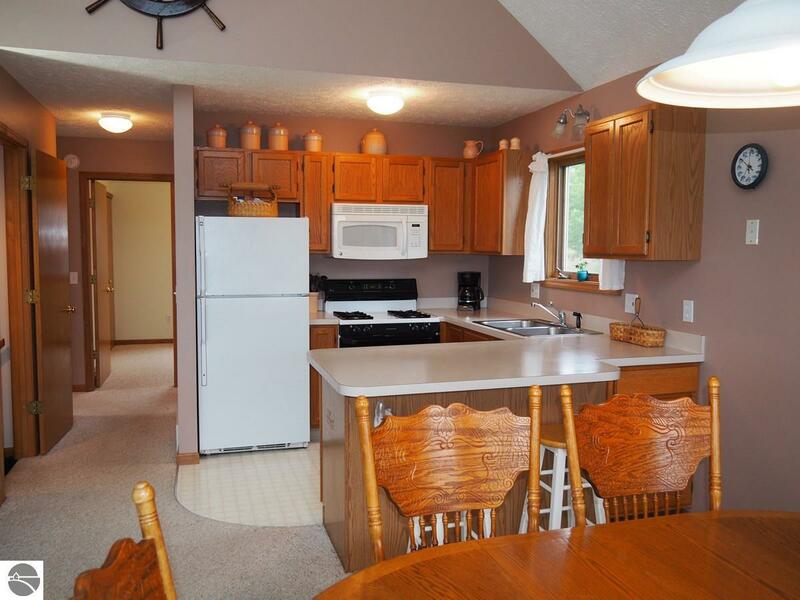 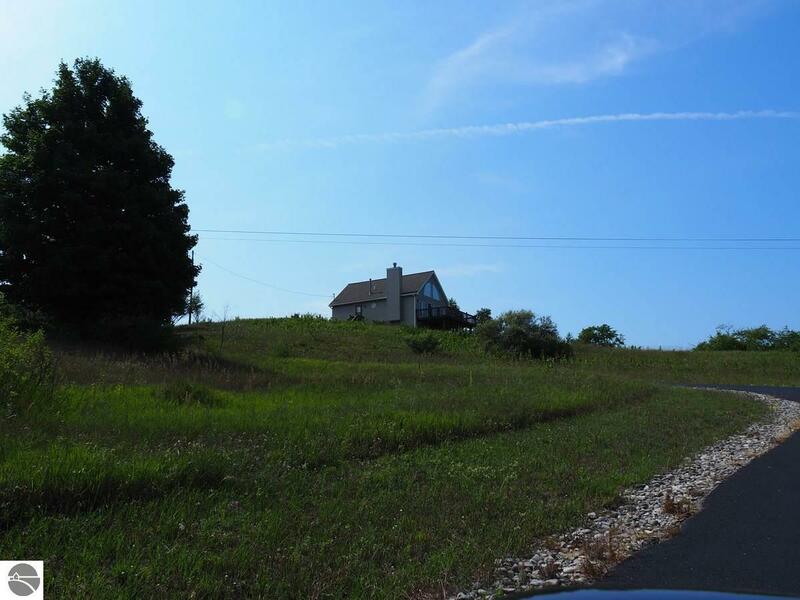 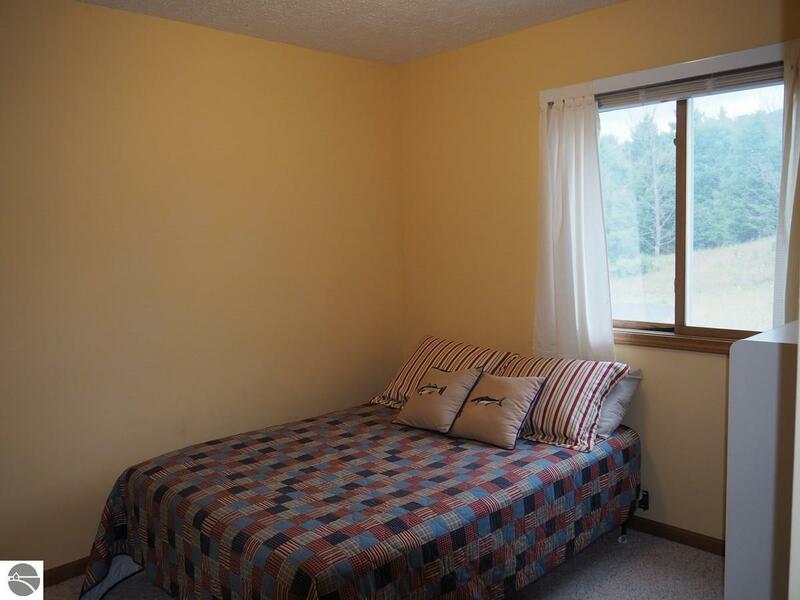 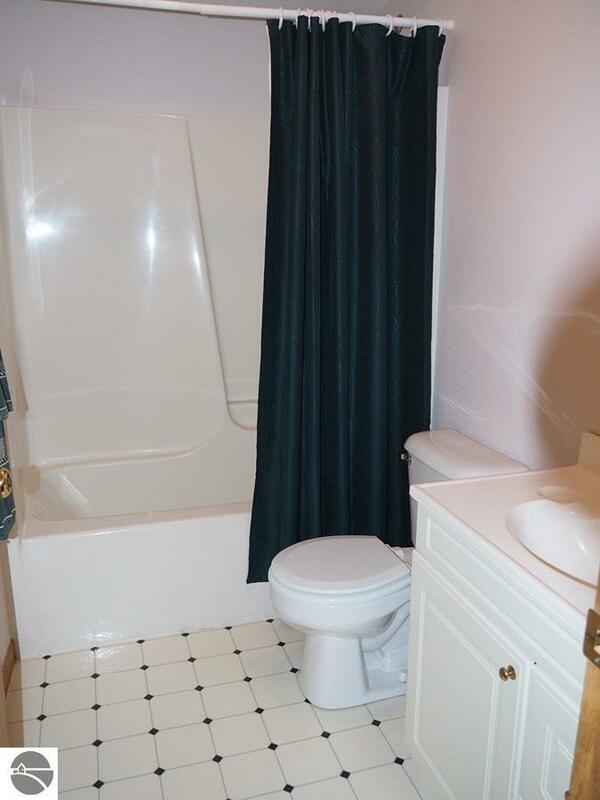 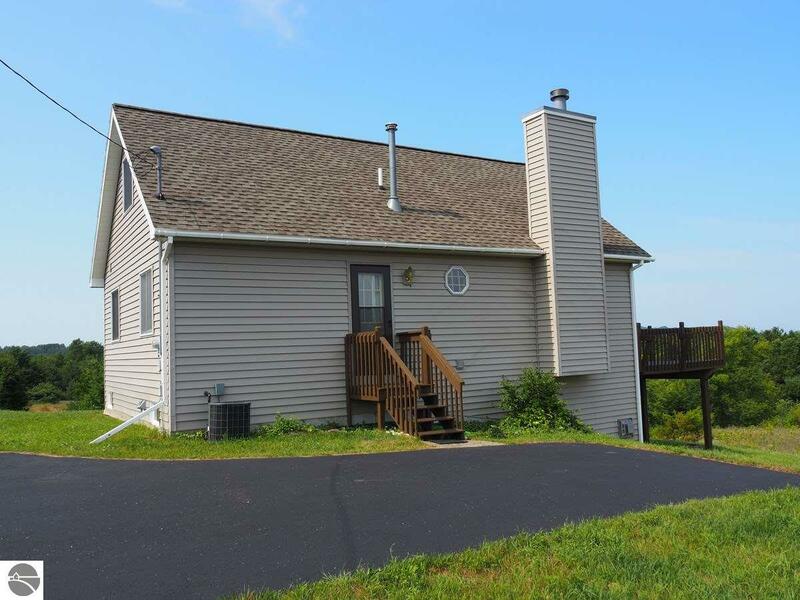 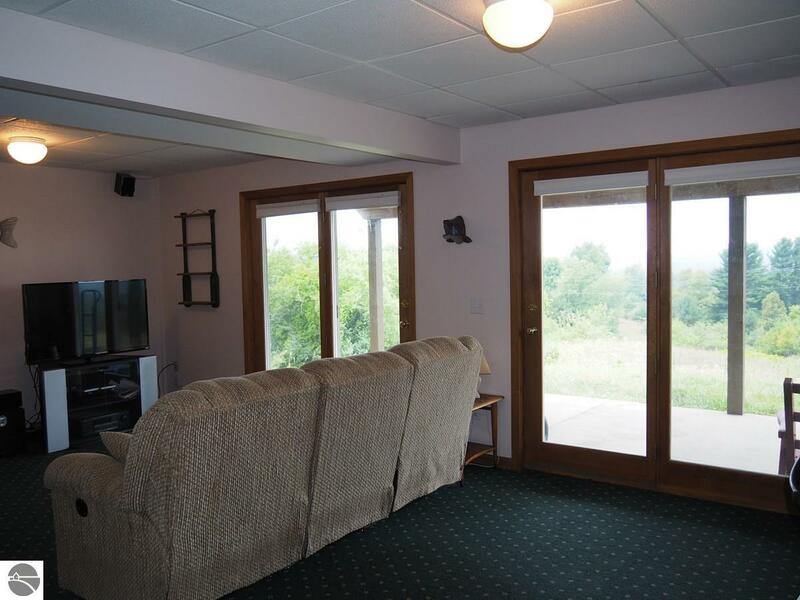 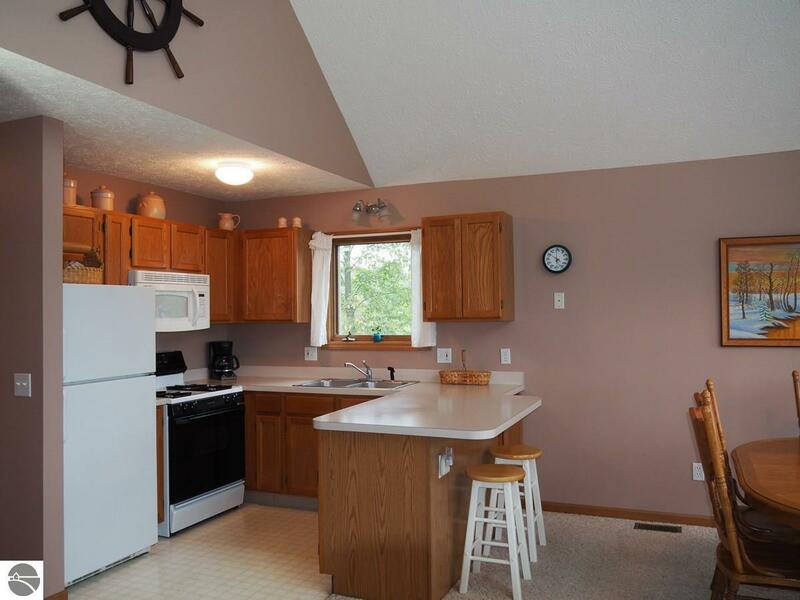 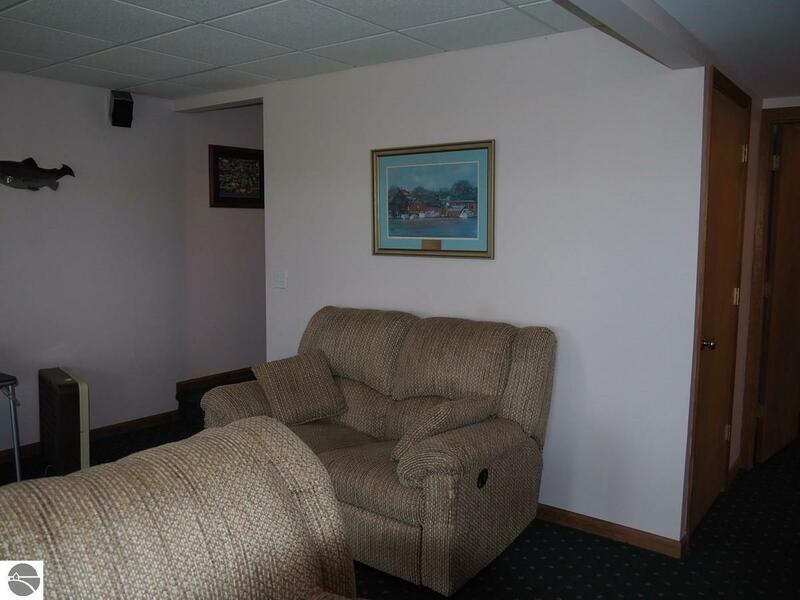 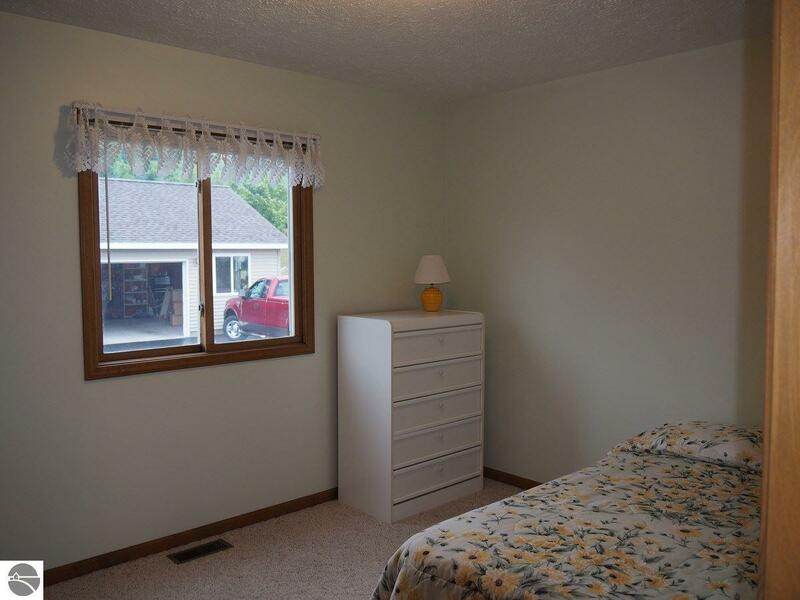 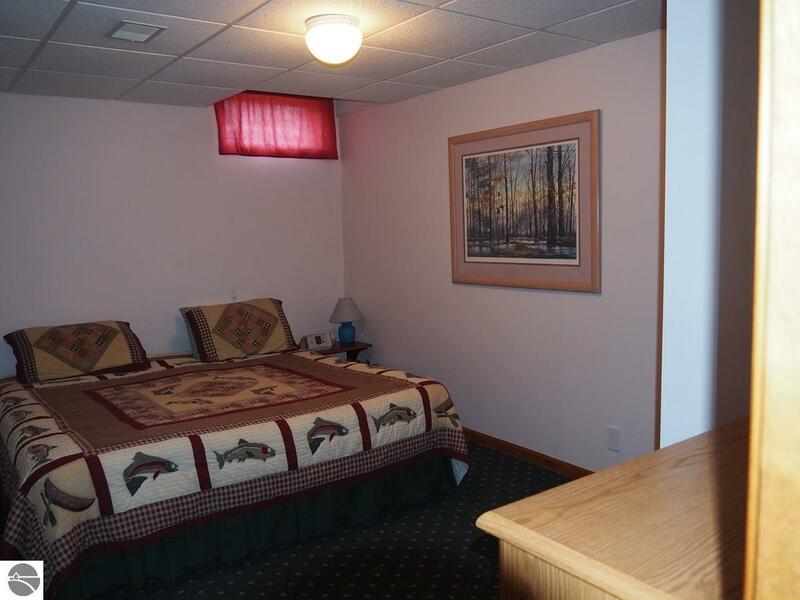 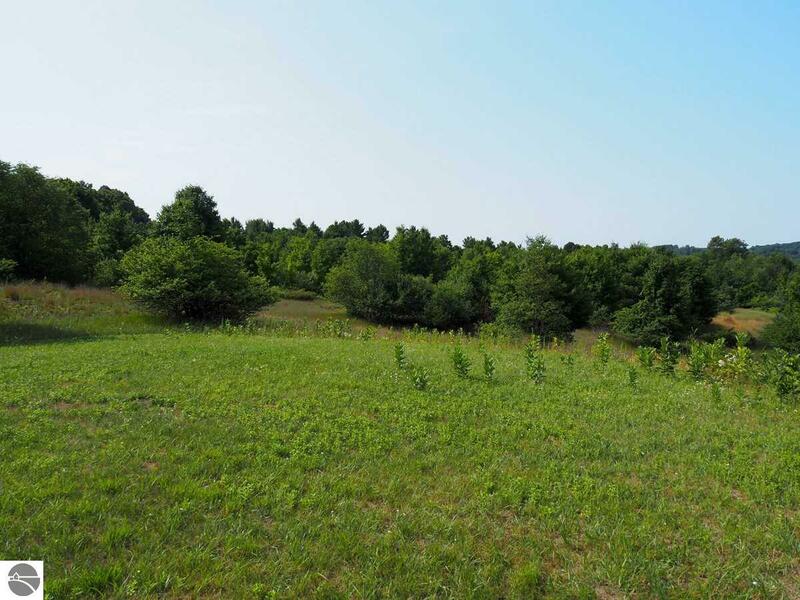 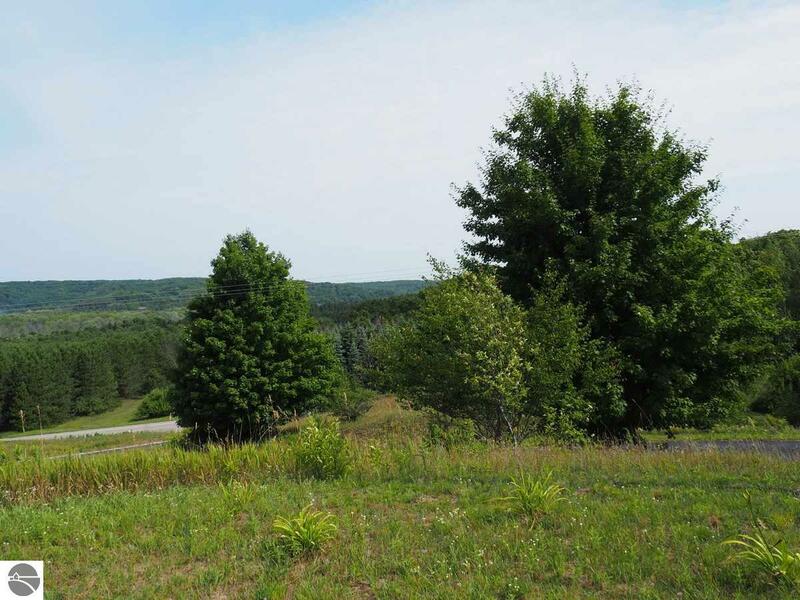 This property lies two miles east of the legendary M-22.